A financial advisor called me last week and explained that he has a marketing problem. His problem is actually fairly typical and very frustrating. He is spending money on client events, has run several prospect seminars, is posting on social media, updated his website recently, and has even tried a series of targeted Facebook ads. His efforts are not producing new clients, and he is worried about his book of business shrinking due to the age of his clients. He told me that he needs some new marketing strategies. When I looked at the specifics of his event invitations, seminar presentations, social media posts, website and ads, I discovered a fairly common issue. The problem is not that the marketing activities are wrong, but his messaging is wrong. The most important element in ALL business development efforts is actually your words. If someone says your fees are too high, it is most likely your words that fell flat describing your value. If a seminar doesn’t work, it’s likely the words on the invitation or in your presentation that didn’t communicate why someone should work with you. If your website isn’t converting visitors into appointments it is likely your words, not the design of the site, driving them away. If your social media posts and advertisements don’t convert, it is likely your words don’t convince them to take action. If your prospect meetings don’t close someone, it is likely your words that sent the meeting south. We have proven that when you use better messaging for everything from your client appreciation invitations, video scripts, digital advertisements and more – that it changes everything. 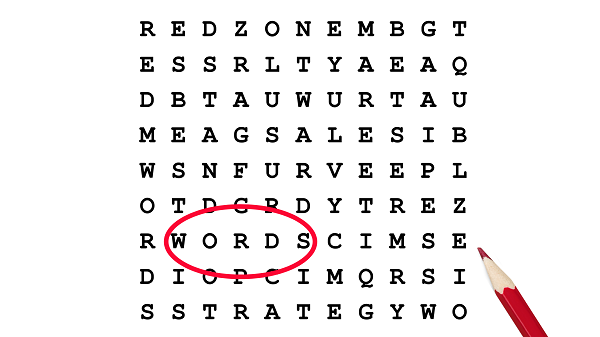 The right words can dramatically impact your marketing efforts. Have you thought about changing the words you use, not necessarily the activities you are conducting?